questions in regards to said article. First of all do you have any references to the way grounds should be connected? Secondly you mentioned in your article that grounding to a structure should not be used if at all possible. My question in regards to this: If OSHA regulations state that it is okay to ground to structures why say no to this? The reason I am asking is that where I am employed we use the building structure for grounding purposes and we have people who are getting shocked while welding. The material is 6061, using pulse Mig and GTAW. The machines are grounded to the structure and from said structure to said welding fixture using a jumper. In a nutshell I'm trying to find references whether they be OSHA or from some other agency in regards to grounding. Yours is the perfect example of how the terms "ground" and "work piece lead" get used interchangeably. This leads to a dangerous situation. On a common welding power source you will find a + stud and a - stud. To one of these you would attach a conduit leading to the electrode (ie: a wire feeder, a stinger, a Tig torch). To the other you would connect a conduit leading to a Work Lead Clamp. The polarity required would determine if the work lead runs from the + or - stud. In the article you’re referencing I state, "…the work place lead does not ground anything." When installing welding equipment that statement is critical to remember. OSHA will require that equipment be grounded to protect people from electric shock. The way equipment is grounded has nothing to do with the + or - stud on the front of the welding machine. This is accomplished through the permanent power connection supplying the machine (the plug). 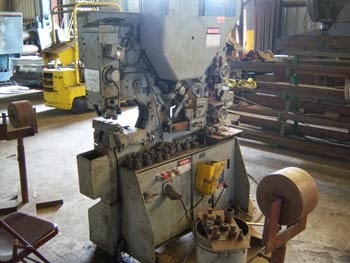 Or by a separate clamp and wire connecting the case or frame of the machine to ground (like the building). Sometimes both the plug and one of these wire connections is used. Again, they have nothing to do with the + or - stud on the machine. 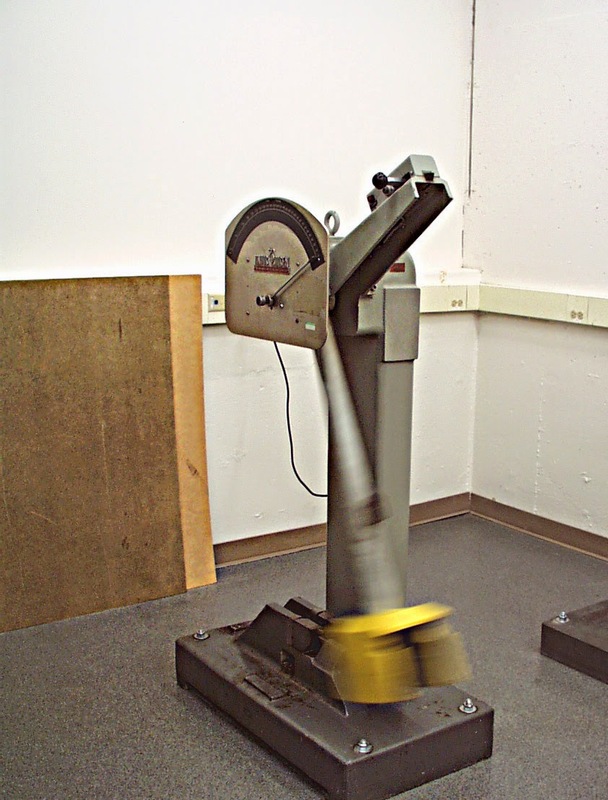 ANSI Z49.1 - Safety in Welding and Cutting will require that the work table (positioner, fixture) also be grounded. 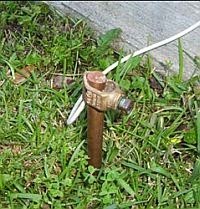 This is accomplished with a conduit connected to the table or positioner, connecting it to a "driven rod" or often, the building. Again I clarify, this has nothing to with the + or - studs. When we use the term "ground" we are talking about protection of people and equipment. You would be much better off referring to the leads coming off a welder as an electrode lead and a work lead, or a positive lead and a negative lead, but neither is ever considered a ground. As I was looking through the AWS website I found accredited test facilities listings. Then digging a little deeper I found AWS QC4-89 (standards for accreditation of test facilities). I was of the understanding that given the CWI endorsement, I could certify welders to the standards laid out in D1.1. Am I to understand that as a school, accreditation is where we need to get to in order to send welders out the door with a certification? If not, what is the accreditation good for, besides marketing? I thought that I had a pretty good handle on where I was going with this, but now I am second guessing myself. Once again, thanks for any clarification and/or advice you can give. 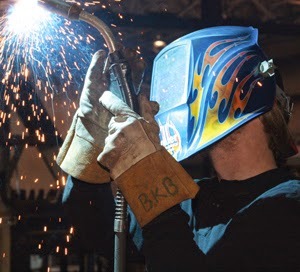 You may have been a qualified Welding Inspector (meaning you have the skills needed) and once a 3rd party evaluated those skills you became a Certified Welding Inspector (to QC-1). 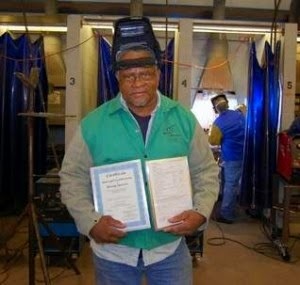 The AWS runs a Certified Welder Program (Much like a Certified Inspector, Certified Educator or Certified Supervisor). To run a program like that the AWS would need testing facilities around the country to do the testing. The AWS wants to keep “tight wraps” on the program to maintain the programs integrity so they developed a program to certify a facility. So there are guidelines your facility would need to meet to become an AWS Certified Test Facility. You can still administer welder qualification tests without being an AWS Certified Test Facility, but those welders would be certified per AWS-D1.1, not AWS Certified Welders. There is a difference. A Welder takes a test at your facility or at his/her employer and those test results are not transferable employer to employer. 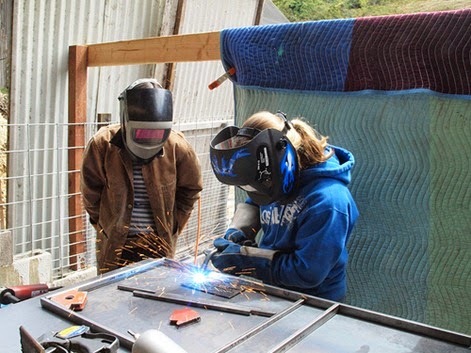 That Welders qualifications/certifications are the property/responsibility of the company. A Welder who goes through the steps of becoming an AWS Certified Welder keeps that certification and that certification is portable. In this original posting I talked about common solutions to Pin Holes. My apologies for not picking up on this, but in his question Marv B. stated that prior to welding he “tried cleaning them [the components] with Brake Cleaner”. Welding and Brake Cleaners can be a deadly combination. There are many warnings on the “everyday” chemicals we use. Often, I will simply assume that if it’s sold over the counter surely it must be safe. But the SDS (Safety Data Sheet) for a can of brake cleaner may read, “Do not use this product near open flames, welding operations or excessive heat. Vapors may decompose to harmful or fatal corrosive gasses such as hydrogen chloride and possibly phosgene.” This can be debilitating or even deadly to the Welder or those around him/her. Thanks to Steve 'Brewdude' Garn who shares his experience on welding and brake cleaners at (http://www.brewracingframes.com/safety-alert-brake-cleaner--phosgene-gas.html). I also want to give a special Thanks to the loyal readers that pointed my over-site. 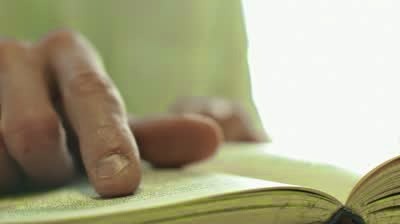 You come to us for good advice and I should pay attention to details when giving it. I was doing a search over the internet and came across your contact information. If you don’t mind, can you help me with a problem? I am machining a Bearing Housing made out of 1045. I have to plug and weld some cross holes. I am using 1018 for the plugs. I am also using a tig welder to eliminate too large of a weld. My problem is that I am getting pin holes in my weld. Is it because I am not preheating the part. or is it because I am welding 1018 to 1045? We didn’t machine the parts dry so maybe there is a light film of coolant on the parts but I tried cleaning them and that didn’t seem to help. If you could reply back that would be great or go ahead and give me a call. The welding of the materials shouldn’t be a problem. Let me ask, the machined port looks to be made up of 3 different drilling operations. Are all 3 completed before the plug is welded in? Pipe-Welders see this same condition when finishing the root pass in a purged pipe. If they don’t build an alternative location for the gas to escape the gas will blow through the final weld crater. I also dealt with this condition on Flare Bevel Groove welds on a robotic application of a manufacturer where I served as Weld Engineer. We were able to remedy that with a punched whole on the faying surface of the joint. Not sure if this is your condition, but if you’re trying to seal the only opening, it sure could be. I see your references on The Fabricator.com website and am wondering; how I can inspect/verify welds on painted product without being destructive? 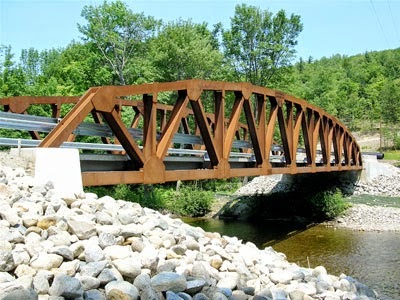 On fabricated products coatings come in many types. 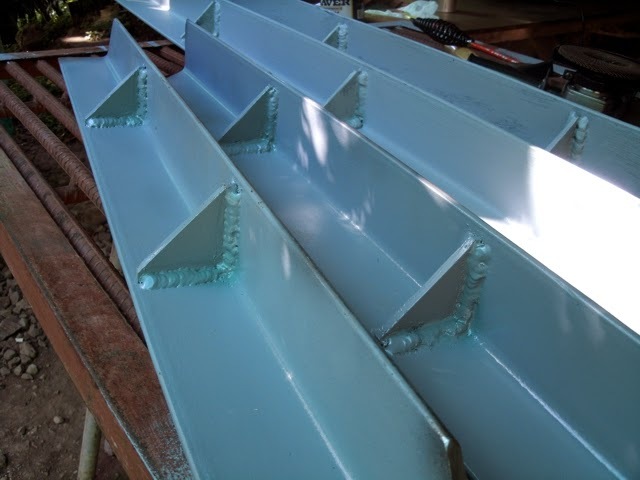 galvanizing, paint, even the oxidizing of a weathering steel will have negative effects on the inspection of welded products. 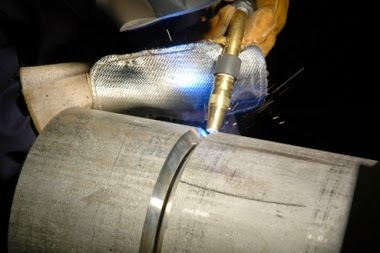 For visual inspection (a form of nondestructive evaluation) any coating on the finished weld has the potential to mask or cover rejectable discontinuities such as size, cracks, undercut, overlap, porosity, etc… Keep in mind, when we list defects by criticality, those that come to the surface generally top the list. So there is risk in completing a visual inspection on any coated product. That being said, as a CWI I’m often asked to do visual inspection on coated product. I do, but I will ALWAYS note that the weldment viewed was coated and that coating limited the inspection. • Die penetrant (PT) would not be affective. With die penetrants the discontinuity needs to come to the surface and the penetrent needs to enter the discontinuity through capillary action. Any coatings would not allow that to happen. • Magnetic particle testing (MT) does have the potential to reveal sub-surface discontinuities but that ability is limited and any coating will certainly affect its dependability. 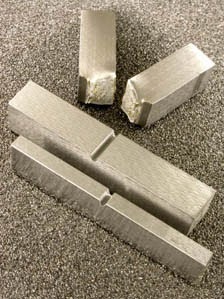 MT will not work on your aluminum products, the material tested needs to be ferromagnetic. • It’s not uncommon to do Ultrasonic testing (UT) on coated weldments. I’ve performed UT on thousands of galvanized and painted products successfully. Calibrations need to be adapted to allow for loss due to the coating, but those types of inspections are performed every day (at least in my world). • Radiograph (RT) is another nondestructive method that would not be affected by most coatings. In fact, RT would probably be the least affected. So there ya’ go. There are several nondestructive methods of NDE that can be performed on coated products, there are simply some adjustments that may be required due to the coating. But your most affective form of nondestructive testing is visual inspection performed before, during and after welding and prior to any coating. Ask me the time and I build you a watch.